Nanofibers have been a phenomenon of the last few years and with their unique properties they have been finding application in many different industrial sectors. Companies Filtrex s.r.o. and Pardam, s.r.o. have jointly developed a unique nanofiber-based membrane intended for filtration of liquids, reaching exceptional filtration parameters. 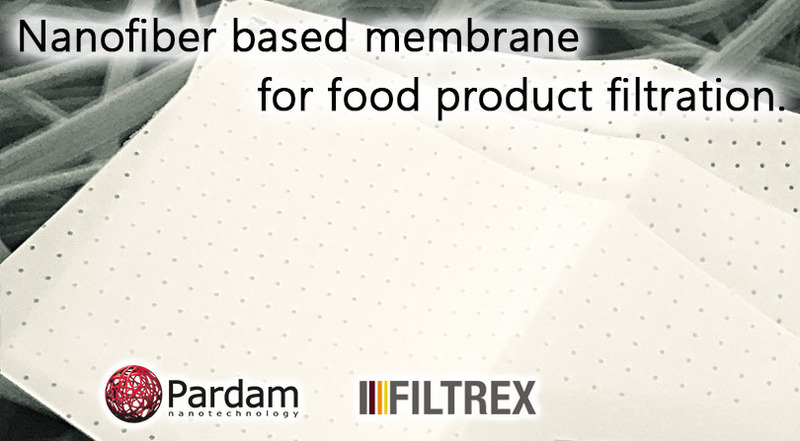 RIFTELEN N15 nanofibrous filtration membrane is suitable for filtration of cooking oils as well as liqueurs, spirits, wine, beer, lemonades, fruit juices etc. It can be applied in desk filters, bag filters or as cartridges of various sizes and shapes. RIFTELEN N15 membrane currently allows various classes of filtration with particle capture rate of 5 – 50 µm. Membranes with capture rate 0,45 – 5 µm are in the final stage of development and testing, so you can be looking forward to them in near future. 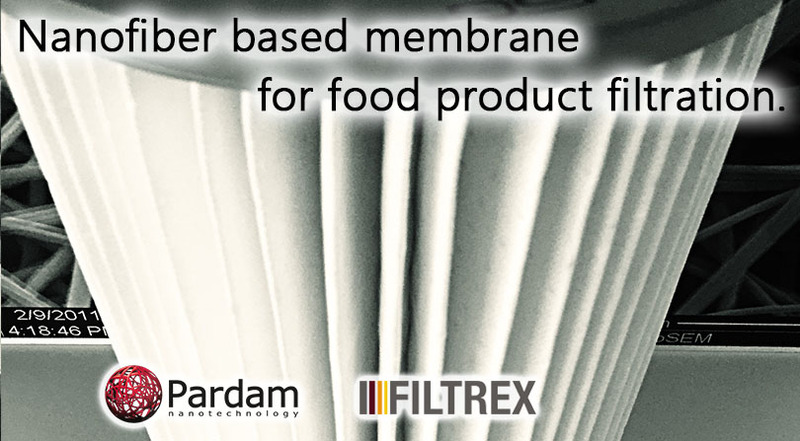 Thanks to its specific structure, RIFTELEN N15 membrane offers fast, recyclable, energy-saving and economical filtration. Filtrated liquid does not tend to absorb into RIFTELEN N15 membrane during the filtration, so there are no unnecessary losses of the liquid during the process. 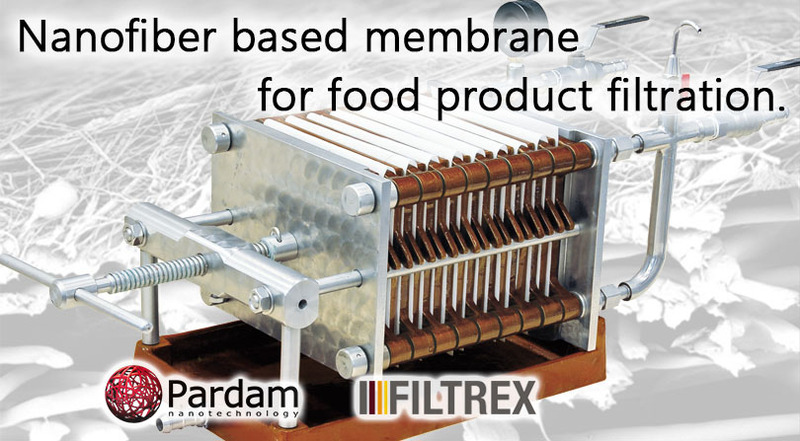 Filtration through RIFTELEN N15 membrane leads to decrease of trans membrane pressure loss by several tens of percent which results in gentler filtration and energy saving. 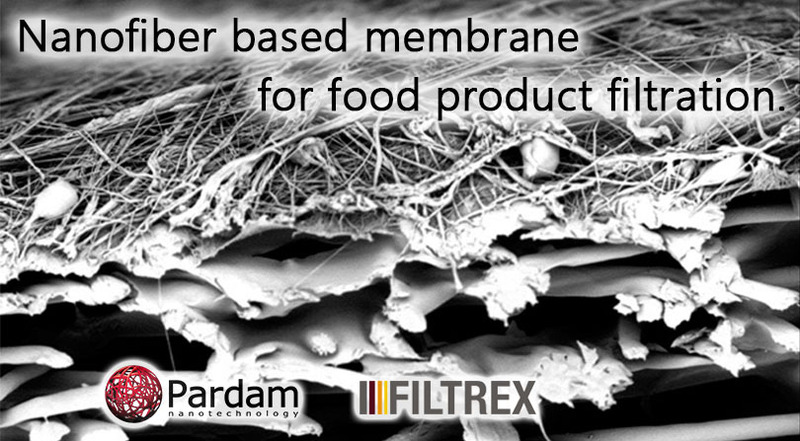 Thin nanofibrous filtration layer brings quick transfer of matter through the membrane and the performance of filtration is therefore increased from at least 100% up to 200% in comparison with classic filtration media. Another great advantage of the membrane is its possibility of regeneration for few to tens of washing cycles, whereas the membrane is simply taken out of the filter and rinsed or washed in warm water with detergent. Nanofibers are chemically resistant, so the method “Clean in place” can be used. However, always discuss concentration of used chemicals with the distributor.